GKR Karate and The Blue Belt Project would like to thank everyone who participated in the 2018 campaign. 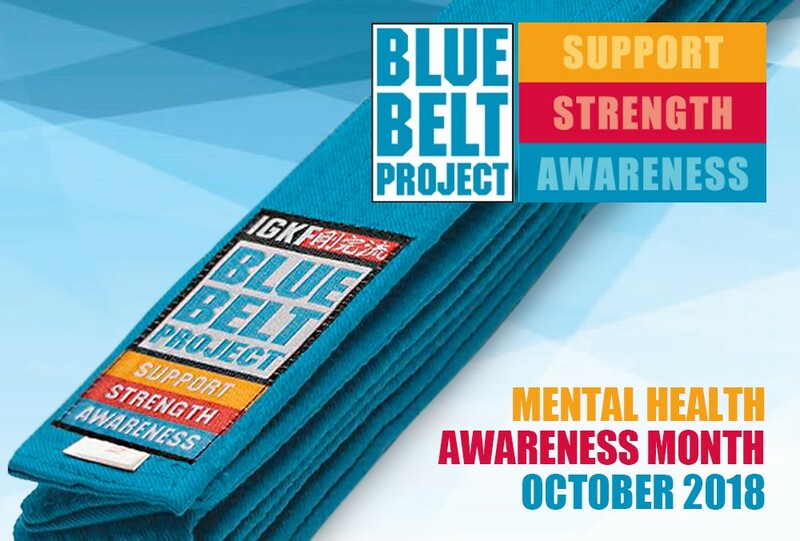 October was Mental Health Awareness Month and we invited you all to wear your Blue Belt Project belts and wristbands to class as a demonstration of support for mental health and to raise awareness for anxiety and depression. It was great seeing so many photos of the Blue Belt at classes across GKR Karate. A special thank you for those of you who went above and beyond, highlighting the cause beyond the dojo. Thank you to those of you who shared your photos from class. It is simply wonderful to see so many of you getting behind this important cause. Your continued support assists in giving people confidence to support those around them and helps in the process of making positive changes needed to help those experiencing anxiety and depression. Mental health is a topic that affects all of us. Through continued efforts we will help tackle stigma, prejudice, discrimination and break down the barriers that prevent people from speaking up and reaching out. Your donations to our chosen charities will assist in providing those who need it, the information, guidance and support to open up and work on their mental wellness. Thank you again for participating in this year’s campaign. If you or someone you know is battling with anxiety or depression, please take the time to visit our charity partners – Beyond Blue, Mind and The Mental Health Foundation of New Zealand and take advantage of the many support resources they have available.